There's no more beautiful a place to learn to drive than in Stratford-upon-Avon. Lying on the River Avon, Stratford-upon-Avon is an incredibly popular market town, because of its links to William Shakespeare. Just imagine if the theory test was written in Shakespeare's 'Olde English'? How difficult would that be to read?! 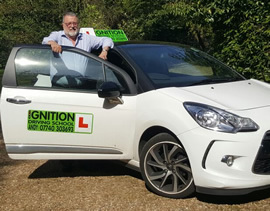 Thankfully, English has evolved and so too have the roads and cars, so learning to drive in Stratford-upon-Avon is a much more pleasant experience nowadays!